Visiting Portugal is a great choice, particularly if you like all things maritime related, as Portugal stretches for 800 kilometers along the coast of the Atlantic Ocean. It is graced with Lisbon as its capital city which sits at the entrance of the majestic River Tagus. Much of the country is a mix of rugged and scenic landscape coupled with rolling stretches of Mediterranean landscape. As it lies along the coast you will find some beautiful beaches here in addition to picturesque coves, quaint villages, and a thriving cultural scene in Lisbon. Portugal also has a range of islands on its coast for you to enjoy such as Madeira which is known as the Garden Isle thanks to its lush vegetation, or the secluded and serene Azores archipelago. Wherever you choose to go, Portugal is bound not to disappoint and you will be amazed at how much you can pack in when you visit this small but exciting country. The church and the adjoining monastery are built in the Manueline style and much of the interior is ornately decorated, particularly the section known as the South Portal. There are also graceful cloisters and you will also find monuments here such as the tomb of Vasco de Gama and the famous Portuguese poet Luis de Camoes. The oceanarium in Lisbon is one of the best places to come in the city if you are travelling with children and it is dedicated to educating the public on marine conservation. The aquarium is full of a variety of creatures and you will find four separate ecosystems that are divided geographically to represent the Antarctic, Atlantic, Pacific, and Indian oceans. Just some of the critters you will find here include sharks, rays, sea otters, and penguins. 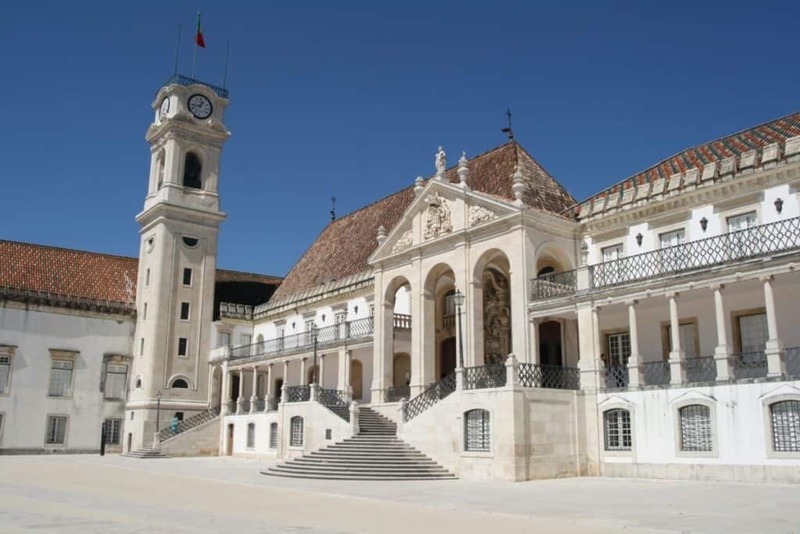 The National Palace of Sintra sits on its scenic central square and you will know it as soon as you see it thanks to the massive round chimneys that sprout from the top. It spans several ornately decorated floors, each of which have a different theme and one of the signature features is the Sala dos Brasoes which is the main hall topped with a sparkly dome. Also make sure to check out the 72 coats of arms on display here. Locals flock here, especially in the summer months, and you will find lifeguards on duty which means that this is a good choice for families with young children who can bathe here with peace of mind. When the swell is good you can even go surfing here. Located in the Belem district in Lisbon is this iconic tower which was built in 1521. The aim of the fortification was to guard against an invasion via the River Tagus and the building is considered a master class in how to build a successful fortress. 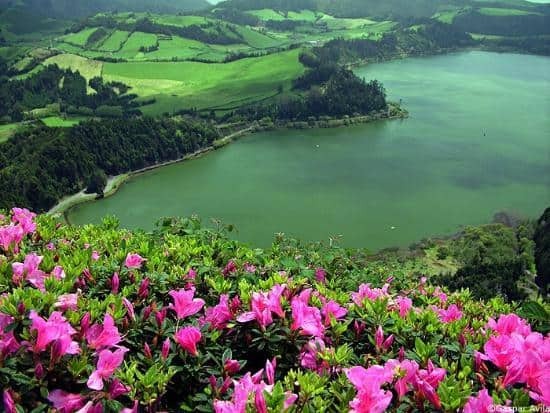 One of the top spots in Azores is Furnas Lake which is a Crater Lake known for its blue waters tinged with green that sits of hills covered in mud volcanoes and hot springs. If you like brooding volcanic landscapes then this is not to be missed and you can go hiking past the calderas or take to the waters and go canoeing which allows you to get up close to the amazing multi-hued waters. 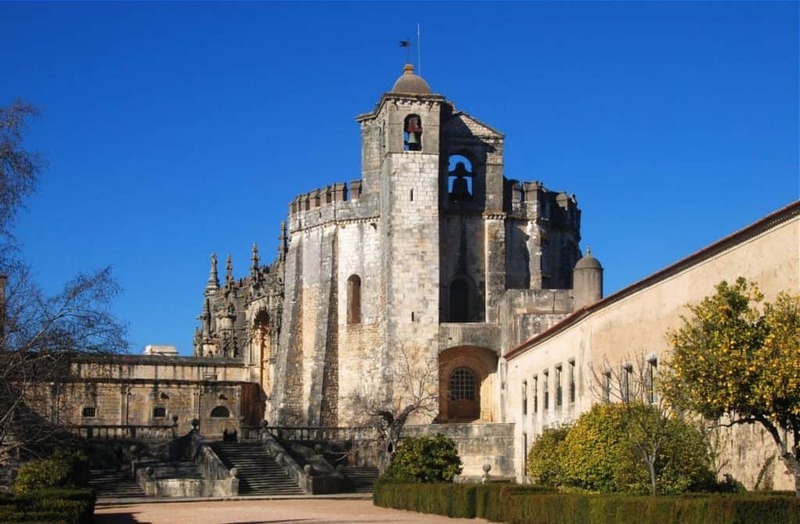 The Convento do Cristo is located in Tomar which is a pretty little town on the riverfront. It was founded in 1160 and was used by the Order of the Knights of the Templar which is why you will notice Masonic touches in the decoration here. In the center of the convent is the Charola which is the original church and is covered in symbols of Christ. Another signature area of the convent is the Manueline window which was designed by one of the most famous sculptors in Portugal. It is six kilometers outside of Braga and is still a spot of pilgrimage for devotees across the country. It is made up of a grand stairway and the church of Bom Jesus and you will find a range of smaller chapels here as well as fountains and intricate carved scenes from the Bible. Pilgrims here climb the long staircase made of granite which stretches for 116 meters and takes you past the 14 Stations of the Cross. The University of Coimbra dates from 1290 and is a UNESCO World Heritage Site (one of many around the country!). You can visit different sections of the building such as the central square known as the Paco das Ecolas and the Alta and Sofia wings which also used to be part of the royal residence. Visitors also shouldn’t miss the Biblioteca Joanina which is a gorgeous library decorated in a lavish style and built in 1717. Amazingly you can even climb the clock tower here which dates from the 18th century. One of the most famous museums in Lisbon is the Museu Calouste Gulbenkian which has 6,000 artifacts that used to belong to Calouste Sarkis Gulbenkian who was an Armenian national living in Portugal who donated his art collection to the museum before he died. 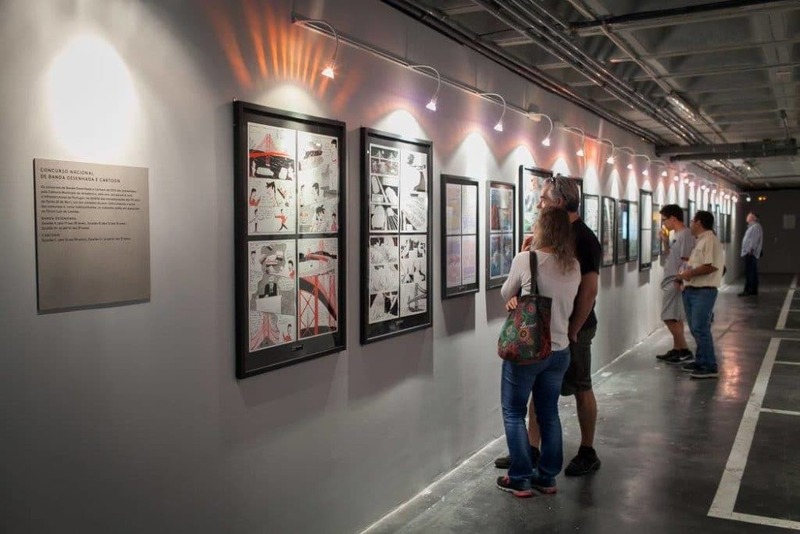 As a result you can expect to find an incredible collection that will take you back 4,000 years and spans all kinds of pieces such as Oriental, Classical, and European art. Some notable pieces include Roman medallions, paintings by Rembrandt and Turner, and furniture that would have belonged to Louis XV and XVI. Castelo de Guimaraes has the claim to fame of being the place where the first monarch of Portugal, Dom Afonso Henriques, was born. It would have once been the capital of Portucale, the ancient name for Portugal and is another UNESCO World Heritage Site in the country. The castle dates from the 10th century and has been slightly modified over the years. Although much of the structure is as it would have been, you can still see the spot where Dom Afonso was baptized in the Sao Miguel Chapel and visit the Torre de Menagem at the center of the complex. This large suspension bridge is one of the most recognizable sights in Lisbon and offers you the best views of the city. Unlike some other suspension bridges there is no pedestrian walkway here but you can drive or take a train across and enjoy the River Tagus that sprawls beneath you. The bridge also has the claim to fame of having the biggest span in all of Europe so this is a pretty special spot to visit if you are in Lisbon. The Torre de Clerigos in Oporto is an iconic structure shaped like a needle that towers 75 meters over the city and dates from the 18th century. If you want to get to the top you will need to climb some 200 steps and have a head for heights. The journey is more than worth it however to take in the beautiful views from the top that stretches over Oporto and the stunning River Douro. Sitting on a hill in Lisbon is the Castelo de Sao Jorge which dominates the city skyline and looks over the Baixa district. The castle would have been built originally in the 12th century under King Afonso Henriques before being renovated several times. Much of the castle is now open to the public and you can wander along the ancient ramparts as well as take in the ornate towers. One of these, called the Torre de Ulisses is fitted with a camera that projects pictures from the city onto the walls of the castle. You can also get some of the best views of Lisbon that stretch all the way down to the water. 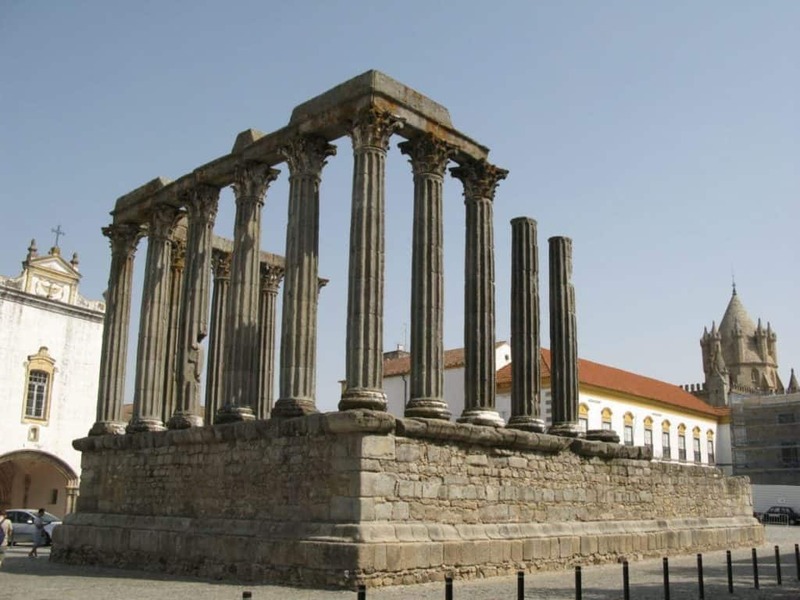 Set in the province of Alentejo is Evora which is known for its Roman history after the Romans settled here in 57 BC. As a result, you will find the ruins of a Roman temple here that is thought to have been built between the second and third centuries. After the Roman invasion Evora was recaptured by Christian armies, which explains the presence of the Se, a cathedral consecrated in 1204 and built in the Romanesque, baroque, and gothic styles. 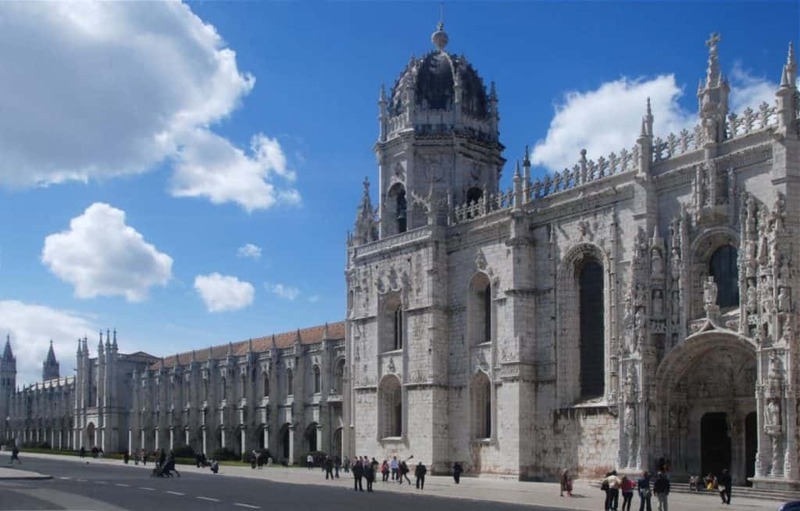 The National Palace and Monastery in Mafra dates from 1717 and was meant to be a typical monastery with an unshowy basilica. Due to the wealth pouring into Portugal at the time however, the project became more ambitious and it became a luxurious palace built in the Baroque style. You can join a tour to visit the palace, monastery, basilica, and adjoining church, and you will even find a library here lined with marble that contains over 40,000 books. 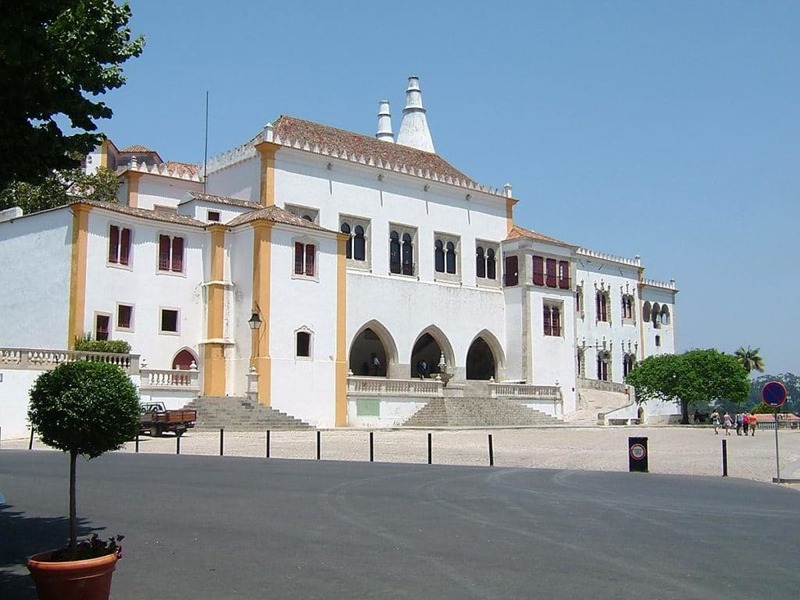 The Municipal Museum in Lagos is full of archaeological pieces from the Algarve region of Portugal and a range of cultural memorabilia such as arts and crafts pieces and even a model of an Algarve village so that you can imagine how things would have looked in the days of old. Make sure to check out the Opus Vermiculatum Roman Mosaic and the Igreja de Santo Antonio which is filled with gilt decorations. The architecture here is notable as the building is made from red sandstone and this is also the location for the Medieval Festival which is held here every August. Palacio da Bolsa in Oporto is an unexpected stop on the itinerary as this used to be the main stock exchange building in the city. Dating from the 19th century when it was built by local merchants, this is another UNESCO World Heritage Site and you can expect beautiful galleries as well as extravagant furnishings. One of the main attractions in the palace is the Arabian Room which is designed in the style of the Alhambra in neighboring Granada in Spain. Named after a Roman centurion, Amarantus, the town of Amarante is located close to the Tamega River and the Serra do Marao. Aside from an illustrious history, Amarante is known for its cakes, so if you have a sweet tooth then don’t miss it off the itinerary. If you happen to be here during the Feast of Sao Goncalo then look out for the cakes for which Amarante is most famous which are shaped like phalluses and were first designed as part of a fertility ritual during pagan times. 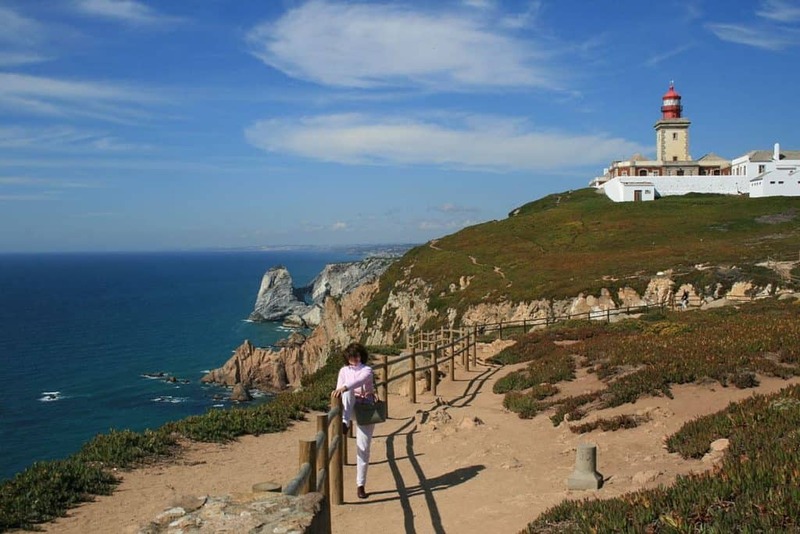 The Cabo da Roca is one of the most famous coastal trails in all of Europe and sits in the west of Portugal. It is part of the wider Sintra Cascais Natural Park and is known for its pretty scenery that takes you along the Atlantic Coast so that you pass beaches, rugged cliffs, and an elegant lighthouse along the way. Another reason to walk along the trail is to enjoy the flora and fauna that you will find along the way and keen bird watchers will notice a huge section of bird life here to admire. If you want to party into the wee small hours then this is the place to do it, even more so if you happen to be here for the Festival of St.
John on June 23 which sees a large celebration that involves revelers hitting each other on the head using toy hammers made of plastic. Created in order to protect the unique ecosystem of the marshlands of the Algarve, Ria Formosa Natural Park is made up of a large lagoon and coastline that stretches for 60 kilometers. Here you will find an array of landscapes such as sand dunes, marshes, salt pans, and small inlets and lakes. If you like bird watching then you are in for a treat as you will find a range of species here and there are various viewing platforms all over the park where you can observe the animals at close quarters. Porto Moniz rises above the sea and sits atop dramatic volcanic cliffs that mean that it has some of the best views in Portugal. It is known for its swimming pools surrounded by rock formations and other attractions in Porto Moniz include the Madeira Aquarium and the Joao Baptista Fort. Dating from 1859, the Porto Calem winery is one of the most famous and well loved wineries in the Porto region of Portugal. It sits in the stunning Vila Nova de Gaia which hugs the bank of the Duoro River and in ancient times used to export wine all the way to Brazil. 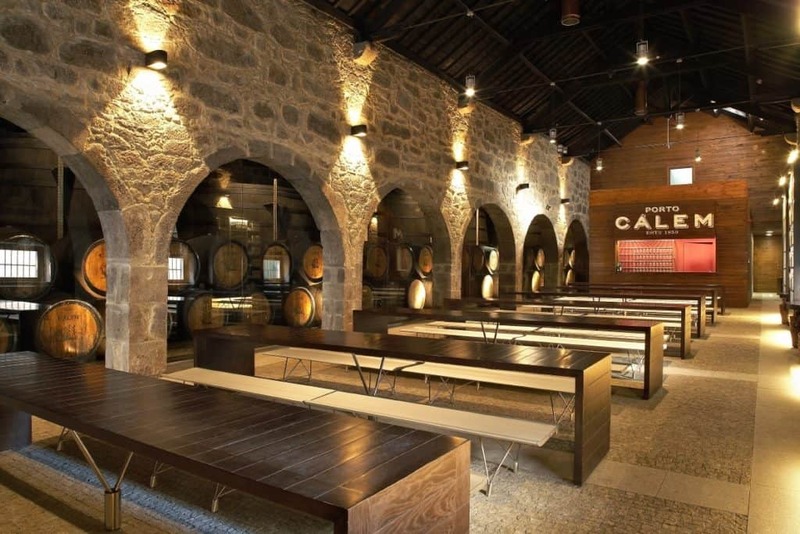 It has been run by the Calem family for more than four generations and you can go on a guided tour and visit an onsite museum before descending into the cool wine cellars. To end the tour you can also taste some of the wines that are made here which include both red and white varieties, and you can even pick up a bottle to bring home with you in from the winery shop.